What is oversleeping? According to Research, it is said that adults should take at least 7-8 hours sleep throughout the day. Many diseases can avoid and body runs smoothly by proper sleep. However, the research also shows that you may face many problem such as diabetes, obesity and heart problems due to oversleeping. Obesity: People who sleep more than average their weight increase by more than 25 %. People who want to lose weight they should take care of this. Waist Pain: Your waist remains straight for long time due to sleeping for long hours. It affects your spinal cord. Headache: Headache is the common problem in oversleeping. If you have headache problem after sleeping then you should reduce the sleeping hours. Depression: Your routine disturbs due to oversleeping. It increases the chances of depression. If you feel depression then you should change your routine. Bad for Heart: You may face many heart problems due to oversleeping. According to research, people who sleep more than 8 hours they may have risk of coronary heart disease. Alzheimer: Your memory become weak and you may have Alzheimer due to oversleeping. It is the sign of old age. You should reduce the sleeping hours in a day. Problem in Conceive: If you want to get the child then do not sleep more during the day. According to research, women who sleep more than 9-10 hours they do not conceive. 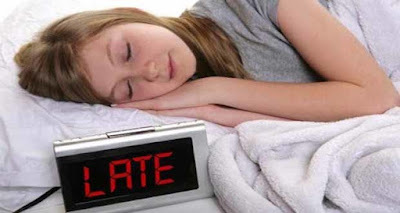 Diabetes: The risk of diabetes increase due to oversleeping. The glucose level disturbs due to oversleeping.